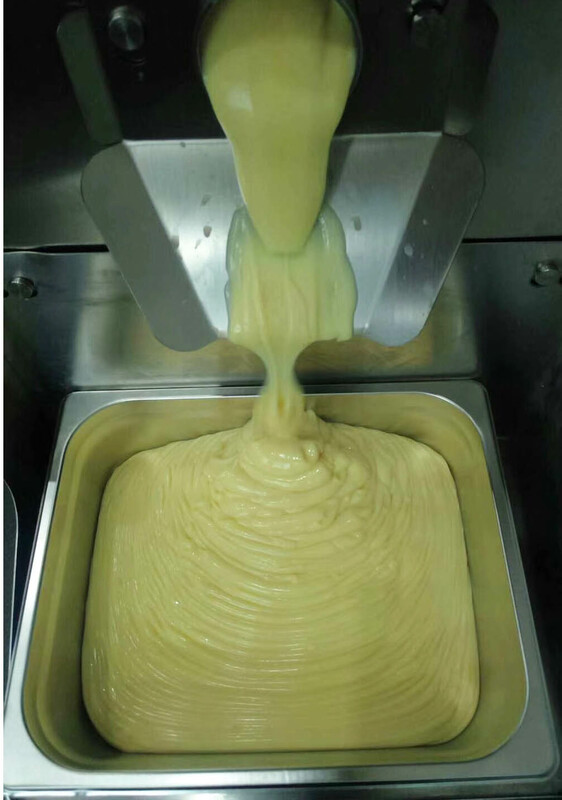 It's a professional pasteurization pastry custard making machine. Suitable for processing high viscosity, heavy creamy mixed. 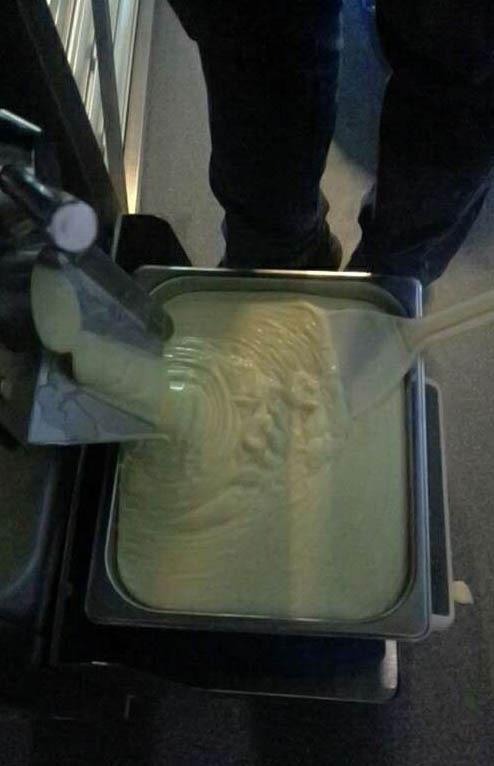 It can produce a variety of products including custard, pastry cream, yogurt, chocolate, puff fillings sauce and syrup etc. There are 9 standard programs and 11 customer programs available. The patented blender is good for producing a smooth creamy mix. It's very convenient to set up a complicated customized program to realize multi-target-temperature with different holding time, different agitation speeds etc. Accurate adjustment and control ability is to guarantee the unified taste and quality of a brand's products in different stores and different time periods. Specially designed mixer for handing thicker cream/mix steadily and evenly to enhance the texture, easily disassemble for cleaning. Entirely stainless steel tank ensure the safety for food. Soft-cooking technology with cycled glycol efficiently cooking any thick mix up to 100 ˚C without any burn. Computer-controlled with all the parameters programmable for multi-purposes which is flexible both for your standard products and creations. Full automatically working by pressing one or two keys after parameters programmed. Cleaning water supply and spray tap installed. All machine components are easy access for rapid maintenance. Product data print function (optional). * Air-cooled or water-cooled need to be specified before order. ** Customer power type optional with surcharge.